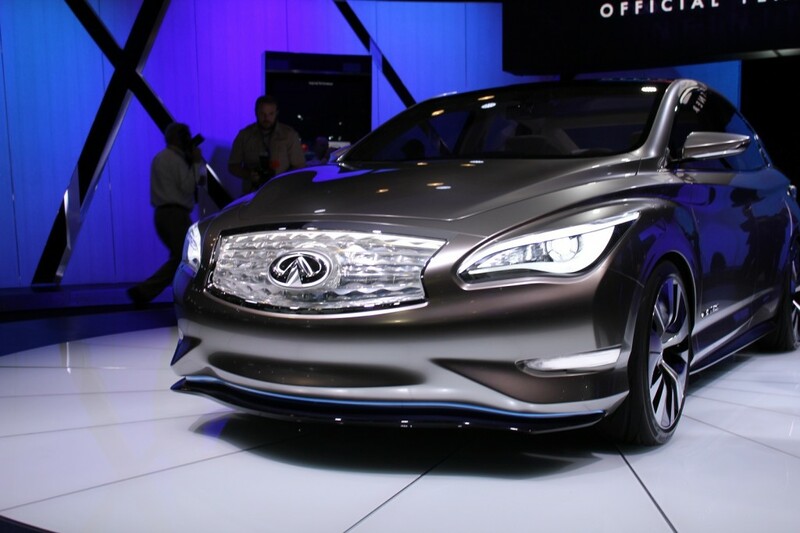 It’s been nearly three years since the Infiniti LE “production intent” electric car concept debuted at the 2012 New York Auto Show, and we’ve heard nary a peep about it since. It seems that when Nissan LEAF sales didn’t take off like some had hoped, Infiniti reevaluated its need for an electric vehicle, and AutoGuide reports that plans to build the LE have been shelved for now. This may have been a wise move, especially now that reports say the next Nissan LEAF could offer between 150 and 200 miles of driving range per charge, about double what owners can expect right now. While an Infiniti badge could have allowed for a higher price and a bigger battery, Nissan’s luxury brand has decided to focus on higher-volume sedan and SUV sales instead. No doubt Infiniti designers have also been paying attention to the success of the Tesla Model S, noting that well-heeled buyers will pay a premium price for a well-done electric vehicle. So rather than just rebadge a LEAF, perhaps the automaker has decided to take the next-gen drivetrain and put it into a more premium product. That would be the best move, and could enter the market a few years before the German segment brings their own long-range EVs to the table. Nissan has remained committed to electric vehicles despite lower-than-expected sales, and I’ve got to imagine it’s simply a matter of time before Infiniti brings their own EV to market. It just probably won’t be anything like the LE Concept that we were expecting.